The Lexmoto Milano is back for 2017 and is better than ever. Building on the original features the classic Milano provided, the 2017 model comes with an upgraded Electric Fuel Injected 4 stroke 125cc motor as well as a new combined braking system. The Milano EFI continues to utilise super bright LED indicators ensuring that it turns heads wherever it goes. 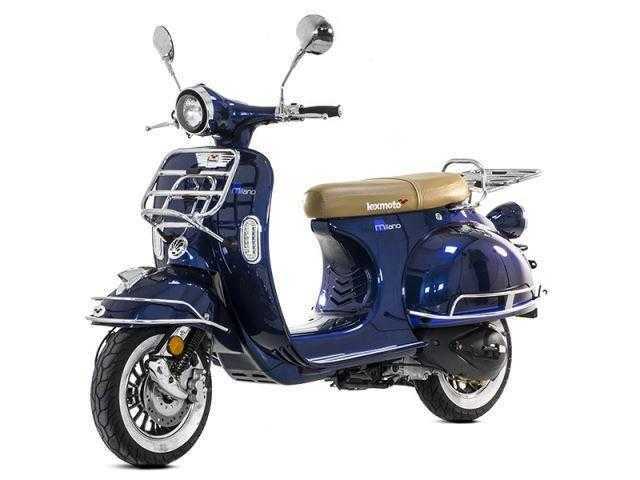 The classic styling is still present and is available in a choice of 3 sophisticated colour options with a 60s Mod inspired Tan coloured seat as standard, Price £1899 on the road inc road tax, Colours Black, White, Blue, Red and Black.